What was your main goal in developing Mark of the Ninja? To create a game the player can approach in whatever way they see fit while feeling like a stealthy, agile ninja. Recent trends have seen Ninjas more closely aligned with action games than stealth. What's your take on this? It just seems like kind of a wasted opportunity, right? If you want to make a game about being sneaky and clever, what's the most obvious fictional construct to use? Yet, the only stealth game prior to ours that really did that was the Tenchu series. 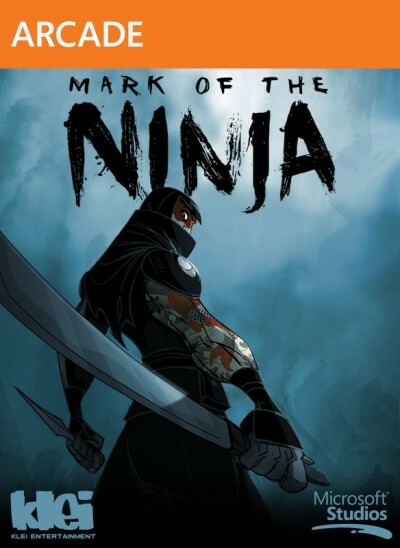 What games served as the inspiration for Mark of the Ninja? Thief was the biggest one for sure, but many of a fundamental stealth series like Metal Gear Solid and Splinter Cell were also things we examined again. But it was definitely the really player-centric design from Thief that inspired me the most. Do you feel Mark of the Ninja could have competed healthily against retail releases, and was a retail release on the cards at any stage? Ninja was always intended as a downloadable game. In general, unless you're Nintendo or maybe Ubisoft Montpellier, 2D is a difficult play at retail. Plus, having our game available for a lower price puts it in reach of a much larger audience, which is basically win-win for us and the audience. Hmm... a good question. Probably the smoke bomb, just due to how tremendously flexible it is in all its various applications. The cut-scenes have a distinctive, cartoon style to them. Did any TV shows or comics have an influence on the visual design? Actually, a lot of artists have actually worked on TV cartoons and/or comics themselves, so an influence is their direct previous experience! Heh, but beyond that, I think a lot of our art team is very fond of contemporary 2D animators like Genndy Tartakovsky. If there was one thing you could change/add to the game, what would it be? A few more options to approach the game non-lethally. I think we did a pretty good job making the game equally compelling, but the abilities (at least until later in the game) are largely geared toward directly dispatching the guards. A little bit more breadth there wouldn't be unwelcome, I think. Lastly, are there any plans for a follow-up, or DLC? It's hard to say at this point! We certainly think there's more to explore with these mechanics, so if we can figure out the right context, I'm sure we'd all like to see that happen. We at The Pixel Empire would like to thank Nels for sparing us his time and insight, and for giving such good answers for our Q&A. Fans of Mark of the Ninja can take heart in at least the possibility of a follow-up, but in the meantime, Klei's latest endeavour, Don't Starve, is on course for release in just a couple of months time. Read Shane's glowing appraisal of Klei's world-class stealth adventure here. Few ninjas were harmed, or even spotted, in the writing of this review. Read The Pixel Empire's first interview of January 2013 as we grabbed a quick chat with Paul Rustchynsky, Game Director of Evolution Studios' superlative top-down racer MotorStorm RC.